John Fowles wrote five compelling stories later made into motion pictures. This book examines for the first time the film and video adaptations of these stories, as well as Fowles's role in adapting his literary genius to visual media. 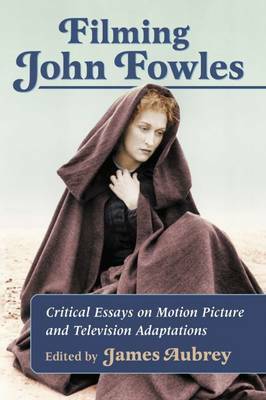 Besides his authorship of the screenplay for The Magus (1968), Fowles was an uncredited contributor to The Collector (1965) and The French Lieutenant's Woman (1971), and to the British television adaptations The Ebony Tower and The Enigma. His unpublished short story The Last Chapter was adapted as a theatrical short film satirizing the James Bond novels. Few are aware that the 1997 thriller The Game was a brilliant adaptation of The Magus, or that Fowles himself acted out scenes from that novel for a Greek television documentary. This book gives deserved recognition to John Fowles as a contributor to cinema, a medium he both loved and distrusted, where his stories acquired vivid alternative lives.